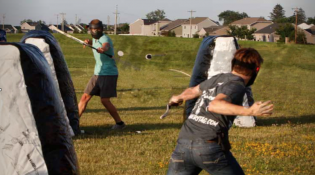 2 teams to battle each other similar to dodge-ball. Get an extra hour FREE. **Not valid with any other offer . Jump4Fun caters to your party needs. We serve all of Southern Alberta and Calgary with the BIGGEST and NEWEST inflatables on the market. Let us help you with your carnivals, graduations, fundraisers, corporate events, birthdays, and much more! 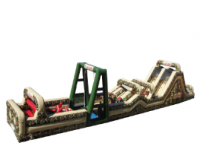 Book early to reserve the best obstacle courses or other inflatables for your event. We bring fun and joy in Lethbridge, Calgary and Southern Alberta. Jump4Fun gives you complete entertainment! We add different flavors to your already amazing parties. We have the safest yet amusing jumpers, obstacle course and bouncers. 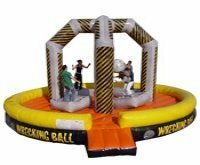 As always, our guarantee is the best party inflatable rentals, bouncer or inflatable obstacle course that will be the life of your party. 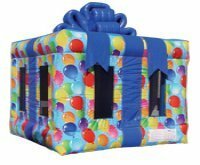 Let JUMP4FUN take the worry out of your next party. Kids of all ages love to bounce and jump on these inflatables. Also check out our SPECIALS to avail of our exclusives for a limited time only. Why settle for less when you can have the best? 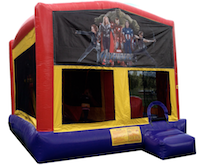 We own the newest, biggest, and safest inflatable party bouncers, obstacle course, and jumpers. We will come and set them up at the appointed time and than come take them down all you have to do is call and make the appointment. 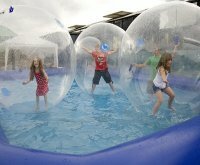 From corporate picnics to children's birthday parties, JUMP4FUN supplies the inflatables to transform any event from the “same old thing” into a festival of fun and excitement. 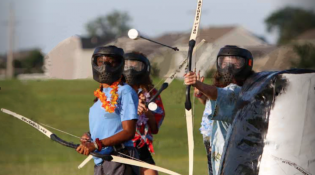 Come check out some other great inflatables we offer, such as the famous Adrenaline Rush Extreme , the Bungee Rapid Fire, King of the Hill and Much More! 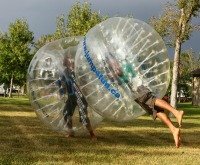 Interactive inflatables is taking the Alberta party rental market to a higher level of competitive fun and excitement and this is where you will find exactly what you are looking for. So what are you waiting for? 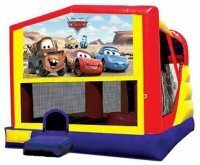 Get the finest inflatable bouncers, obstacle course, and jumpers in Lethbridge, Calgary and Southern Alberta! Our customers can vouch for our entertainment value and we assure you the same high-standard service. Whether it’s a simple children’s party or a corporate event, JUMP4FUN is your leap towards ultimate entertainment.